Plans for a city centre apartment block were dubbed “utterly monstrous” by a councillor, adding to a long list of acerbic reactions from the planning committee on schemes. 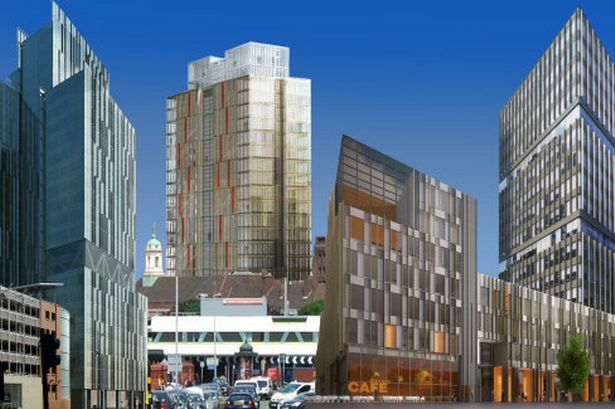 Plans for a modern glass 23-storey skyscraper rising above Birmingham’s historic Central Fire Station were rejected by city councillors... and compared to both a tombstone and a turd. In February 2009, Andy Foster from the city’s Conservative and Heritage Panel slammed the £200 million Beorma Quarter plans as out of character, distressing and lacking in architectural merit. “It’s abominable. It’s like a punch in the face by an architectural fist," he said. Plans to add two storeys to a historic city centre office block led to complaints that it looks like a ‘UFO’ has landed on top when they were submitted in 2011. Councillors have criticised designs for the new University of Birmingham Library as like something from a Lego set last year. A planning committee member warned that a new city centre tower block could create a gale force wind tunnel effect and called for tests ahead of construction last year. Revised plans to redevelop a historic Birmingham church were met with vehement opposition from conservation groups last year. The Acocks Green Focus Group spokeswoman Julia Larden said: “The proposed new building is ugly." Council architects were sent back to the drawing board in 2009 after designs for a new multi-storey car park were slammed as the “ugliest building in Birmingham” by the city’s own planning committee. Supermarket giant Sainsbury’s was accused by councillors of trying to pull a “swindle” by reneging on plans to restore an historic stretch of Birmingham canal. Planning committee member Fiona Williams said part of Selly Oak would become "Britain&apos;s first favela" on the back of plans to covert family homes into large student flats. It&apos;s not always the planning department who get to be critical - sometimes they are on the end of criticism. In 2009, after proposals for a giant banner on the grade II-listed Methodist Central Hall in Corporation Street were called "an ugly and a grotesque scar" by a tenant.